This October, the U.S. Department of Energy’s Solar Decathlon was hosted in Denver, Colorado. Every two years, the contest challenges college teams to build the best solar house. The decathlon consists of 10 overall categorical contests. The Solar Decathlon is quite the undertaking. If chosen to compete, teams must spend two years fundraising and securing sponsors to build a 100-percent solar-powered home and ship it to Denver. This year, two teams shipped their houses from Switzerland and the Netherlands. In past years teams have competed from other European and Asian countries. However, given the financial and temporal commitments, this year only 11 college teams participated rather than the usual 20. Previously, the decathlon was held in Washington, D.C., and Irvine, California. This year, not only was the location new but also a new categorical contest: Water. Denver is located near the headwaters of the Colorado River that provides water to 40 million people, including Phoenix and Tucson, and so it seems rather fitting that the water contest made its debut there. For the water contest, experts in water efficiency and conservation judged the teams on three criteria: conservation, reclamation and reuse, as well as landscaping. The Swiss team took first prize followed by the University of California, Davis, and the Netherlands. Many of the houses had their own water filtration and storage systems for rainwater and greywater. The Swiss team, comprised of students from three different universities in the Swiss-French region of the country, was not only first in water but also in architecture and engineering, as well as first prize in the decathlon. Their house showcased innovative water features including a hydroponic system, a worm composting toilet, a green roof, and rainwater and greywater collection systems that provide rainwater to the washing machine and greywater to the surrounding landscaping. The UC Davis house came in second place in the water contest with an overall theme about reacting to the California drought and water conservation. Highlights from their house include an aquarium that shows how much water the house is saving by how full the aquarium is, a smart home control panel that is displayed in the bathroom mirror so the owner can see how much water and energy is being used when brushing their teeth and getting ready, and a smart showerhead with built-in LEDs that change color based on how much water has been used. The Netherlands house featured a closed-loop shower system that collects and cleans the water for the shower, resulting in a shower that uses about a third of a gallon of water every 60 seconds, in comparison to the average American shower using about two gallons a minute. As water becomes more important in Arizona, you can do your part by championing efforts to conserve, reuse and reclaim water, and rethink your landscaping. To learn more about these houses and their creative, futuristic and sustainable ideas, check out the Solar Decathlon website at solardecathlon.gov. Katie Peige works for the City of Phoenix and has her Master’s of Sustainability Solutions from Arizona State University. 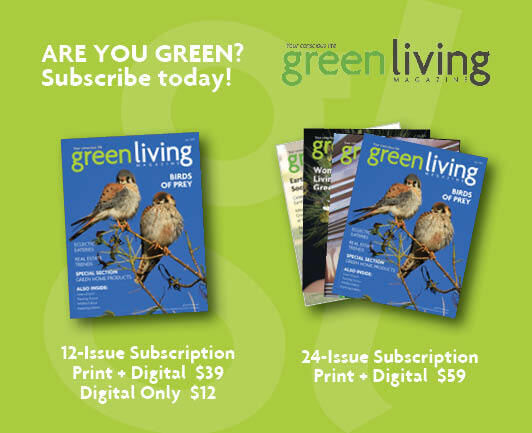 This is Katie’s second time writing about the Solar Decathlon for Green Living Magazine.